Back in July, I got to work with Dele Fatunla, the editor for Royal African Society's Gateway for Africa blog, to compile a list of 50 books by African women everyone must read. 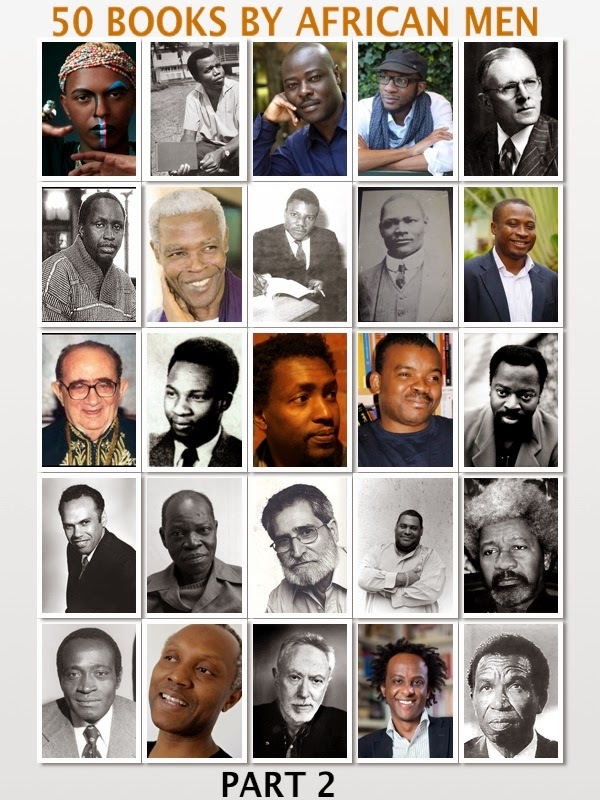 Well we are back with another list - this time of 50 African men everyone must read. When Dele asked me if I would like to put another list together, I couldn't say no - if it was not already clear, I love lists. Still, similar to the last one, I also found it extremely hard to narrow it down. I started with probably over 40 authors (we both decided we would make a list of 25 and see what overlapped and what didn't). I obviously failed that task. As challenging as it was, the list was really fun to put together and while what we have compiled is not an exhaustive list of all that is out there (stealing a line from the post on women authors 'what’s "missing" could lead to some very interesting conversations’), it is a beautiful one that shows the diversity of African literature – new and old, from different regions and languages – from our own perspectives. Part 2 of the list has works from Angola, Cameroon, Ghana, Guinea, Ethiopia, Kenya, Lesotho, Mali, Nigeria, Somalia, South Africa, as well as the South American African diaspora. I also love that the stories span a time period from late 18th century to well, today. There are stories about gods and spirit children, corrupt civil servants, detectives and immigrants. We hope you will read, enjoy and share the list amongst your friends, family and loved ones. Happy reading!!! About the Author: Alex La Guma was a South African writer, leader of the South African Coloured People's Organisation (SACPO) and a defendant in the 1956 Treason Trial. La Guma is considered one of South Africa's major twentieth century writers. His first book, A Walk in the Night (1962) was followed by And a Threefold Cord (1967), The Stone Country (1969), The Fog at the Season's End (1972) and Time of the Butcherbird (1979). A native of District Six, Cape Town, La Guma was also an important political figure. Charged with treason, banned, house arrested and eventually forced into exile, he was chief representative of the African National Congress in the Caribbean at the time of his death in 1985. About the book: A Walk in the Night and Other Stories reveals La Guma as one of the most important African writers of his time. These works reveal the plight of non-whites in apartheid South Africa, laying bare the lives of the poor and the outcasts who filled the ghettoes and shantytowns. About the Author: Novelist, Political columnist and essayist Okey Ndibe was born in Yola, Nigeria. He worked as a journalist and magazine editor in Nigeria before relocating to the US in 1988 where he served as founding editor for African Contemporary. He currently teaches African and African Diaspora literatures at Brown University. His poetry is published in New West African Poets, edited by the Gambian writer, Tijan Sallah. About the Book: Ike is a New York based Nigerian cab driver. Ike also has a degree in economics from a major American university, but his strong accent seems to have prevented him from entering the corporate world which explains his current occupation. Consequently Ike sets out to steal the statue of an ancient war deity from his home village and sell it at a New York gallery. His erratic and materialistic African American bride and his widowed mother demanding financial support does not aid his financial situation. 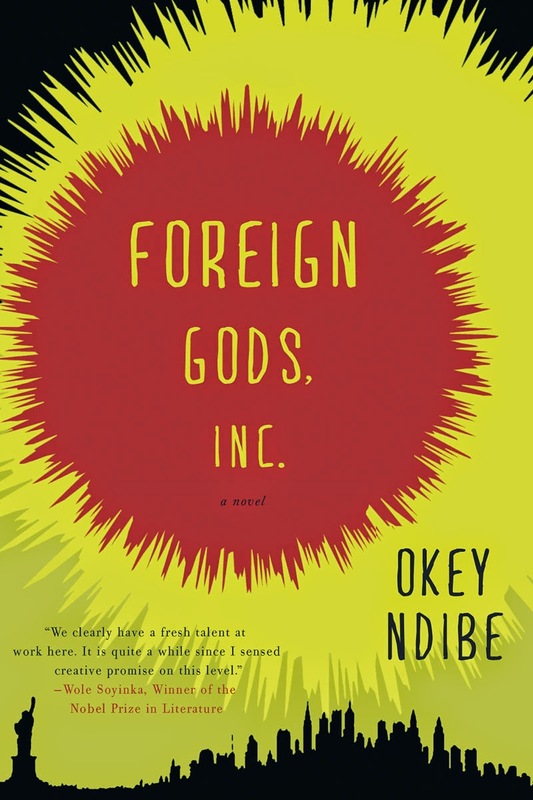 Ndibe explores the dreams, promises and frustrations of immigrant life in America as well as the way in which modern culture creates and augmented infatuation with the ‘exotic’. About the author: Mukoma wa Ngugi is a Kenyan author and poet. He is the son of the Kenyan writer Ngugi wa Thiong’o. Born in Illinois, USA he was raised in Kenya before returning back to the US for university. He holds a PhD in English from the University of Wisconsin and an MA in Creative Writing from Boston University. In 2013 he was named in New African magazine as one of the 100 most influential Africans. His work has been shortlisted for the Caine Prize for African Writing and the Penguin Prize for African Writing. He is currently the Assistant Professor of English at Cornell University. About the book: African peace activist Joshua Hakizimana accepts a position at a University in Madison, Wisconsin. He has been regarded a hero, after risking his life to save many innocent people during the Rwandan genocide. However when a white woman is found killed on his doorstep it is up to local detective Ishmael, an African American in a majority white town to solve the crime. It leads him on a journey to Nairobi, where Joshua once lived. He begins to discover his own identity has he uncovers more about this crime. 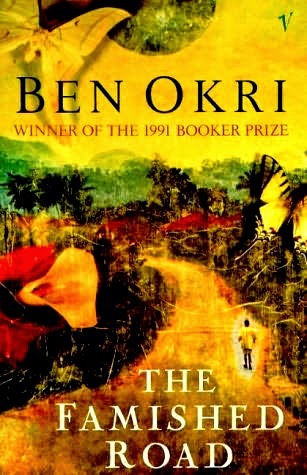 About the Author: Ben Okri was born in Minna, Nigeria in 1959. He is a poet and author. Okri grew up in London before returning back to Nigeria in 1968. Much of his early work explores the political violence he witnessed during Nigeria’s Civil War. When provided with a grant from the Nigerian government he was able to travel back to the UK to study Comparative Literature at Essex University. He was poetry editor for West Africa magazine between 1983 and 1986 and broadcast regularly for the BBC World Service between 1983 and 1985. His novel The Famished Road was awarded the Booker Prize for Fiction in 1991. In 2001 he was awarded an OBE and lives in London. About the Book: Azaro is an abiku- a spirit child. This is means he was only born for a short while before he has to return back to the spirit world, but he doesn’t want to. His spirit siblings are endlessly calling him back, wanting him to leave his mortal realm in order to join them again but Azaro’s love for his parents sees him reluctant to do so. As a result tension builds between those in the land of the living and those in the spirit world. 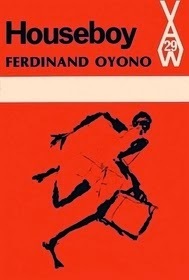 About the Author: Ferdinand Oyono was a Cameroonian author. He carried out part of his education in Paris where he worked in the theatre and studied law. Whilst in Paris he published his first two novels. After Cameroon’s independence he returned, becoming a member of the Cameroonian delegation to the UN in 1960. He enjoyed a highly successful diplomatic and political career but after ten years as Minister of Culture he was dismissed in September 2007. Throughout that post he aimed to increase reading amongst the young and contributed to the implementation of copyright laws. Oyono had written his fourth novel by 1960 before taking up his political career and is considered one of the great Francophone novelists. About the book: Published in 1956 Houseboy is written in the form of a diary. This diary belongs to Toundi Ondoua, the main protagonist of this novel. He manages to escape from his abusive father and seeks asylum from his sponsor a local European priest who suddenly dies. He then becomes the boy of the local Commandment but his attempt to further improve his life reveals to him the reality of how difficult this is. This book looks at Toundi’s awe and initial adoration of Europeans and how this preconception becomes skewed whilst he battles with his identity. About the Author: Artur Carlos Maurício Pestana dos Santos best known as Pepetela is a Portuguese Angolan writer and is one of Angola’s leading novelists. He fought as a member of the MPLA in the fight for Angola’s independence from Portuguese colonialism and was a member of the first government when independence was won becoming the Vice Minister for Education. During his time in office he published several novels. 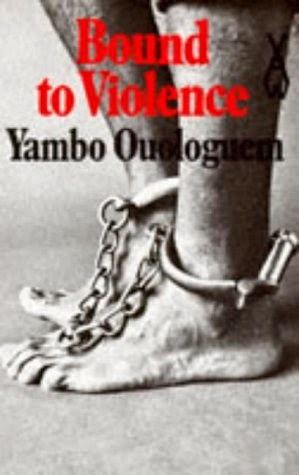 Most of his writings deal with the country’s political history in the 20th century, for example his novel Mayombe which looks at the lives of MPLA guerrillas during the struggle. Pepetela won the Camões Prize, the world's highest honour for Lusophone literature, in 1997. 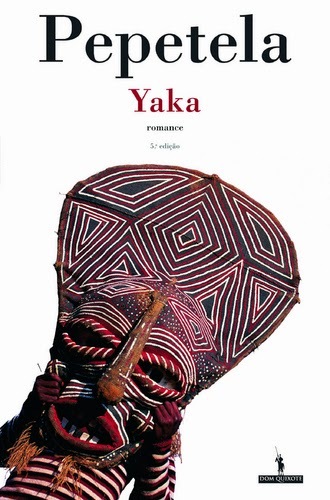 About the book: Yaka gives a broad view of Angola’s history from 1890 till its independence from Portugal in 1975 through the voice of the Semedo family. You see the country go through slavery, land confiscation from white settlers and uprisings before finally uniting in the battle for independence. Alexandre Semedo’s father is convicted of murdering his wife and is sent from Portugal to Angola. Alexandre was born in Angola and from his father he inherits a Yaka statue. Alexandre and his children conform to the expectations of the colonialist community. He has an arranged marriage to a Portuguese woman and attempts to set up a business. However through the generation his family becomes more entwined with Black Angola and he begins to see the importance of the Yaka statue and the symbol it holds for his country. About the author: Yambo Ouologuem is a Malian writer. Born into an elite Muslim family he was taught several African languages as well as English, French and Spanish. In 1960 he travelled to Paris to study sociology, philosophy and English. His first novel Bound to Violence received the Prix Rendareceived the Prix Renadout. However this then became highly controversial with many critics stating that Ouologuem had in fact plagiarised much of the content from Graham Greene’s It’s a Battlefield. After the controversy Ouologuem returned to Mali and worked as a director of a youth centre until 1984. He remains till today very much reclusive. About the book: In the fictitious African empire of Nakem, based on the history of Mali from 1202-1947 powerful empires are built and African rulers negotiated with slave traders, selling their own people. 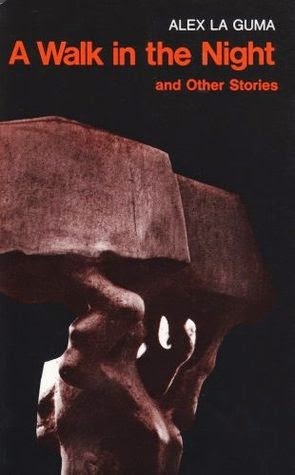 The narrative of the first half of the book distinctly looks at black magic, violence and the exploitation of Arabs. The second half focuses on the main protagonist Raymond who is descended from slaves and sent to France to study. Ouologuem focused on three forces that he believed then were responsible for the ‘slave mentality’ amongst blacks. This and the violence depicted in the novel, in addition to the plagiarism also caused much criticism. 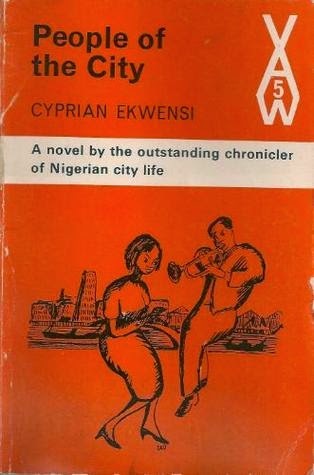 About the Author: Cyprian Ekwensi was born in Minna, Niger State. He studied at various colleges in Nigerian and Ghana and the Chelsea School of Pharmacy in London. He is known for his children books and collection of Igbo folktales. He also led a successful career within the government. He was Head of Features for the Nigerian Broadcasting Corporation later serving as a chair of the Bureau for External Publicity. He died in 2007. About the book: When published in 1954 it was hailed as the first major novel by a West African in English to be read widely throughout the English speaking world. This tells the story of a young crime reporter Amusa Sango who is also a dance bandleader in a large city. He soon finds himself unemployed and homeless leading to a surprise marriage into a well off family before leaving Nigeria for Ghana. He soon discovers that he can do more for his country rather than focusing on his personal endeavours in the city? About the Author: One of the most important African writers of all time Chinua Achebe was a Nigerian author and poet best known for his novel Things Fall Apart (1958), selling over 10 million copies and translated into 50 languages. He studied English at the University of Ibadan graduating in 1953. Having a brief teaching position there after graduation he went on to work for the Nigerian Broadcasting Corporation until 1966. He had a very successful university career. In 1985 he was made the Emeritus Professor at the University of Nigeria. 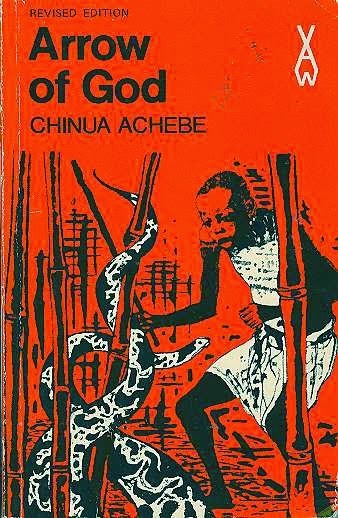 About the book: This is Chinua Achebe’s third book and is considered the last in the ‘trilogy’ beginning at Things Fall Apart followed by No Longer at Ease. This is a very intricate and complex narrative following the main protagonist Ezeulu, a stubborn chief priest of the god Ulu who was created by the villagers’ centuries ago. This is worshipped by the six villages of Umuaro. Ezuelu is responsible for preserving the traditions and the rituals of the people. However Ezuelu gradually finds that his authority is under threat. There is a war between the Umuaro and a nearby village Okperi, the strong influence from Christian missionaries and problems within his family. Ezeulu’s resistance to the colonial powers find him isolated and losing the trust of his people. To Ezeulu however, he sees himself as indestructible and the bow in the arrow of his god. This novel looks at the challenges faced with colonial influences and the loss of tradition. About the Author: Camara Laye was a Guinean writer. In 1947 he won a scholarship to France to study motor engineering taking on further courses in engineering after his degree. 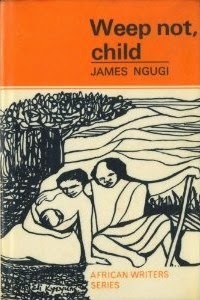 His first novel, the semi-autobiographic African Child was published in 1953. It won the Prix Charles Veillon in 1954. He returned to Guinea in 1956 after working in several posts around West Africa. This novel established him as one of the most influential novelists in French speaking Africa. 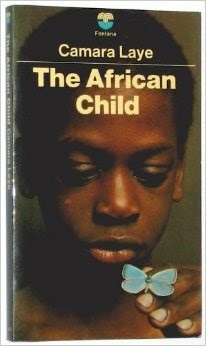 About the book: In this novel Laye describes his life growing up in the village of Koroussa, Guinea. He talks of the supernatural powers both his parents possess and the distinction his father held as the village goldsmith. Soon he must choose between his home and the pursuit of academic success elsewhere. About the author: Born in Kenya in 1938 Ngῦgῖ wa Thiong’o is a writer and social activist. Black Hermit was his first major play, which was held at the National Theatre in Uganda in 1962 in celebration of their independence. He wrote his first novel Weep Not Child published to critical acclaim in 1964 whilst studying at Leeds University. In 1967 he became a lecturer for English Literature at the University of Nairobi whilst also serving as a visiting professor of English and African Studies at Northwestern University, Illinois. In 1977 Thiong’o published his first novel in 10 years Petals of Blood. This criticised the social and economic troubles of neo-colonial Kenya and for this he was arrested and imprisoned without any charge. Whilst imprisoned he committed himself to writing in his native Gikuyu. Amnesty International names him a Prisoner of Conscience resulting in an international campaign which led to his release. Forced to leave Kenya he taught in the US whilst continuing with his writing and activism. His books have been translated into more than 30 languages. He was nominated for the 2014 Nobel Peace Prize for Literature. About the book: Thiong’o’s first novel looks at the effects of the Mau Mau war on everyday men and women in Kenya focusing on one family in particular. Set in a Gikuyu village, two brothers, Njoroge and Kamau, take two different paths in life. Njoroge has been offered the opportunity to go to school by his parents whilst his elder brother has already accepted to train as a carpenter rather than choosing an academic route. 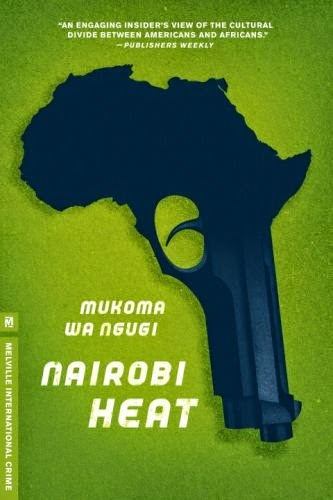 The book is split into two halves and we see that Njoroge has exceeded in his education however the Mau Mau’s waging war against the white government causes the two brothers and their families to decide where their alliances lie. For the very pragmatic Kamau this is a simple choice. Njoroge on the other hand the importance of education and the strong belief that you can only progress through knowledge, this choice becomes more problematic. About the author: Wole Soyinka is a Nigerian playwright, poet and political activist born in Abeokuta, near Western Nigeria. He is received the Nobel Prize for Literature in 1986, the first African to be given this honour. He took his doctorate at the University of Leeds and during his six years in the UK worked at the Royal Court Theatre. He wrote his first plays during his time in London, The Swamp Dwellers and The Lion and the Jewel, which were performed at Ibadan in 1958 and 1959. In 1960 he received a Rockefeller Research fellowship from the University of Ibadan and he returned to Nigeria to focus on African Theatre. He taught drama and literature at various universities in Nigeria whilst continuing to write. Politically active Soyinka regularly criticised the military dictatorship in Nigeria. During the civil war Soyinka appealed for a cease fire which resulted in his arrest and imprisonment for 22 months in 1969. 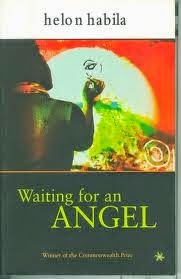 He has published over 20 works including dramas, novels and poetry. As of 2007 he was appointed Professor in Residence at Loyola Marymount University in Los Angeles. 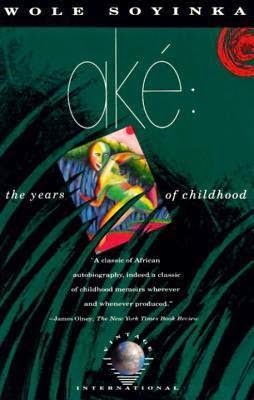 About the book: Ake: The Years of Childhood are the memoirs of Wole Soyinka as a young boy through to his teenage years during the 1930’s in a Yoruba village called Ake. We see Soyinka who grew up on a parsonage compound as an inquisitive and mischievous child who loves to read. Brought up by strict Christian parents he experiences the transition of traditional spiritual practices giving way to Christianity, a tribal rite of passage and nearly losing his father. This then leads him to peruse education, a promise he made to his father. 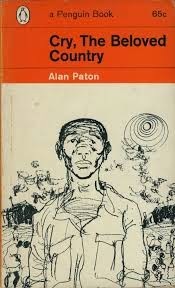 About the author: Alan Patton was a South African author and anti-apartheid activist. After his studies he became a teacher working in a number of schools. He published his first book Cry, The Beloved Country which deals with the issue of race, during his time as principle at Diepkloof Reformatory. Due to the success of the book he decided to write full time. Paton's second and third novels, Too Late the Phalarope (1953) and Ah, but Your Land is Beautiful (1981) also deal with this. He also became involved in South African politics, and helped found the Liberal Party of South Africa in 1953 as an alternative to the apartheid regime. About the book: The novel tells the story of a Zulu pastor Stephen Kumalo who travels to Johannesburg to find his son and other family members. He soon discovers that his son Absalom has been charged with murder of a white man. Paton looks at the social structures of society in a country ruled by racial injustice. About the Author: Teju Cole is a Nigerian-American writer, photographer and art historian. He is the Distinguished Writer in Residence at Bard College. Born in the US to Nigerian parents and raised in Nigeria he returned to the US at the age of 17. He is the author of two books. A novella, Every Day is for the Thief, a New York Times Editors’ Pick and a novel Open City which won an array of awards including the PEN/Hemingway Award. Cole is a contributor to the New York Times, the New Yorker, Qarrtsiluni, the Atlantic, Granta, Aperture, Transition, A Public Space, and several other magazines. He is currently working on a non-fiction narrative on Lagos and lives in Brooklyn. About the Book: ‘A character study of exquisite subtlety and sophistication. It is a debut of enormous promise' (Independent on Sunday). 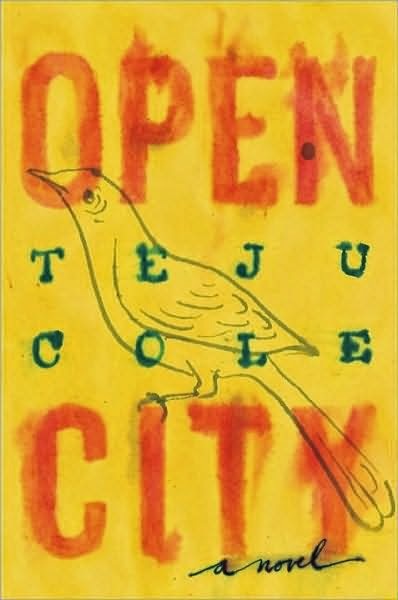 This best-selling novel from Teju Cole provides a view on spatial relations, the objective and subjective experience looking at national identity, race, liberty and loss. The story follows Julius, a young Nigerian psychiatrist wandering aimlessly through New York. He is also on a rebound from a relationship and the walks provide him of a release from his regulated work life. Julius encounters strangers, associates and friends and Open City portrays the extraordinary journey of Julius’s life from Nigeria to New York richly describing the physical landscapes and social boundaries he meets. About the Author: Ayi Kwei Armah was born in 1939 to Fante speaking parents in the twin harbour city of Sekondi Takoradi. He left Ghana in 1959 to attend Gorton School in Massachusetts and after graduating attended Harvard University receiving a degree in sociology. Armah has lived and worked in the different cultural zones of Africa. He moved to Algeria working as a translator for the magazine Revolution Africaine, returning to Ghana in 1964 to work as a scriptwriter for Ghana television. He lived in Dakar, Senegal during the 1980’s and in the village of Popenguine, he has established his own publishing house, Per Ankh: the African Publication Collective. Much of Armah's earlier work deals with the betrayed ideals of Ghanaian nationalism and Nkrumahist socialism. 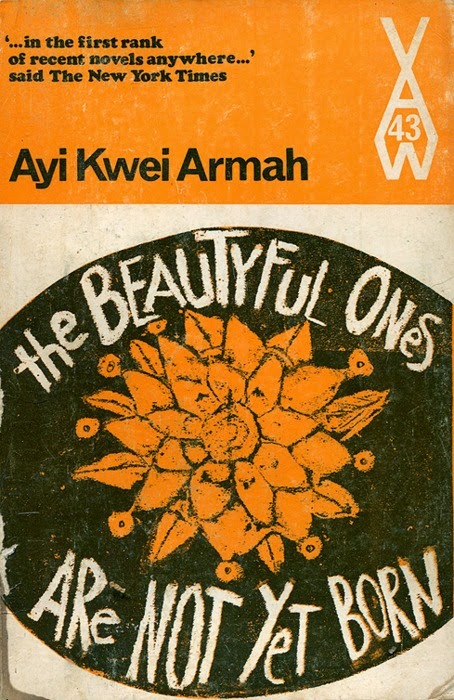 About the Book: This debut novel by Ayi Kwei Armah takes a satirical attack on Kwame Nkrumah’s regime in Ghana and the period immediately after independence in the 1960s. The book tells the story of an upright and moral railway worker who resists the temptations of bribes and easy gratification much to the anger of his wife. Feeling increasingly guilty for his innocence, the novel portrays the theme of corruption and greed that many African nations such as Ghana struggled with post-independence. For many, along with ‘Things Fall Apart’ is perceived as one of the high points of post-colonial African literature. About the Author: Eghosa Imasuen is Nigerian writer and doctor. He has had many of his short fiction published in online magazines and has written articles Farafina Magazine. He graduated from the University of Benin in 1999 and lives in Benin City, Nigeria. About the Book: It is October 1992 in Warri and 16 year old Ewaen is sick of seeing his parents fight and cannot wait to attend university. Once enrolled at the University of Benin, his life with his friends mainly consists of hanging out in the parking lot, chasing girls, crumbling infrastructure and managing staff strikes. Imasuen’s witty and informal style of writing portrays the dangers of Nigerian campuses amongst the backdrop of the pro-democracy riots of the 80’s and 90’s and the terror of the Abacha years. About the Author: Dinaw Mengestu is an Ethiopian-American writer. Raised in Illinois he received a B.A. in English from Georgetown University and MFA in fiction from Columbia University. In April 2014 he was named as one of the 39 Sub-Saharan African writers under 40 by the Hay Festival. 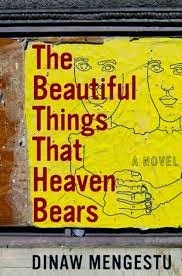 Since The Beautiful Things That Heavens Bears was published in 2007 he has received numerous literary awards and was selected as a MacArthur Fellow in 2012. He has written for Rolling Stone and Harper’s, among other publications. He now lives in Washington, D.C.
About the Book: The novel focuses on the life of Sepha Stephanos, an Ethiopian immigrant now living in Washington DC after fleeing the Ethiopian revolution seventeen years earlier. He runs a failing grocery store in a poor African-American area and his only companions are two fellow African immigrants who share his bitter nostalgia to desire to return home. When a series of racial incidents disturb the community Sepha runs the risk of losing everything. About the author: Thomas Mofolo was born in Lesotho is 1876. He received his teacher’s certificate in 1898 at the missionary training college in Basutoland, and started working at the Sesuto Book Depot. Whilst there many of the missionaries encouraged him to write, with his novel becoming the first in Southern Sotho. The themes of Mofolo’s early work looked at the positive influence of Christianity brought by the Europeans. His success saw other young teachers inspired, prompting them to begin writing. This created one of the earliest literary movements in Sub-Sahran Africa. 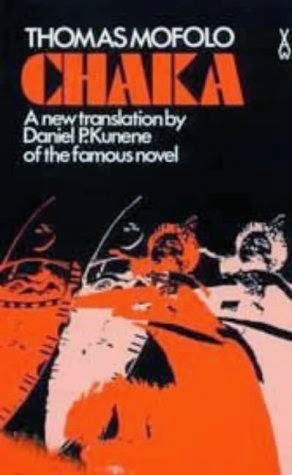 However his publication of Chaka was delayed for 15 years by the missionaries due to the pre-Christian life that the protagonist has in the novel and Mofolo not discrediting pagan tribal customs. Feeling dejected Mofolo moved to South Africa in 1910 and gave up writing. He found himself in financial trouble after major losses in various business ventures and returned to Lesotho on 1940. He died in 1948. About the book: This book retells the story of the well-known Zulu king Chaka. a fictionalized account of the Zulu conqueror who built a mighty empire during the first quarter of the 19th century. About the Author: Ike Oguine is a Nigerian writer. He has written several pieces for the New Internationalist, West Africa and the Times Literary Supplement. His first novel A Squatters Tale was published in 2000. About the Book: This is a series of stories story narrated by Obi, a young Nigerian financier who decides to immigrate to America after the company he works for collapses. He remembers as a young boy, a visit from the US by his mother’s younger brother Happiness and his display of wealth and success. After being stood up by his good friend Hook once arriving at the airport he is forced to stay with Happiness whose circumstances do not appear to be what he portrayed on his visit to Nigeria many years back. This results in a series of adventures, humorously exposing the immigrant experience. About the Author: Chris Abani was born in Afikpo, Nigeria and published his first book at the age of sixteen. He holds an MA in Gender and Culture from Birbeck College and a PhD in Literature and Creative Writing from University of Southern California. He is often described as part of the new generation of Nigerian writers working to convey an English-speaking audience the experience of those born and raised in the African nation. He was often imprisoned due his anti-government stance in his novels. After being placed on death row, he managed to escape, going into exile in the UK before settling in the US. 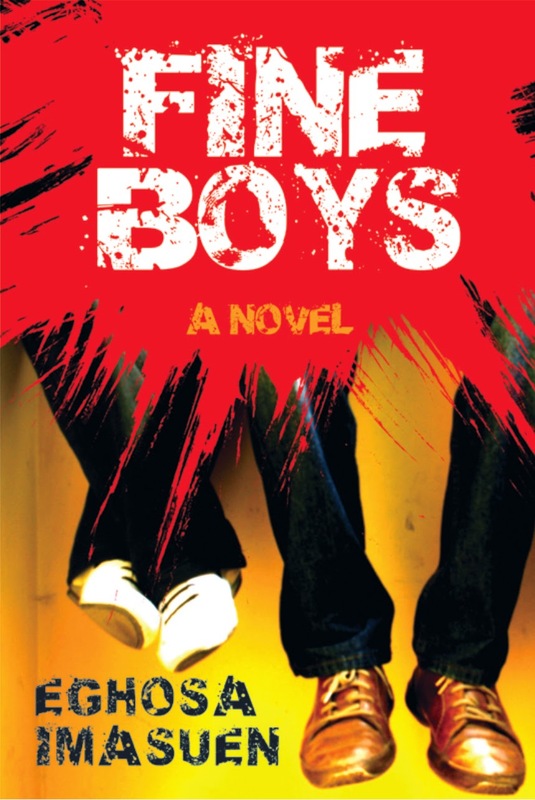 About the book: Lagos, Nigeria provides the backdrop to this coming of age tale in which the main protagonist Elvis Oke, a teenage Elvis impersonator’s desire to escape the ghetto inundated with floods, abuse from his alcoholic father and poor job opportunities tempts him into a life of crime. Consequently this begins his journey into the dangerous underworld of Lagos. The story alternates between Elvis’ early years in the 1970’s when his mother dies of cancer and his teenage years. Accompanied by his friend Redemption, immigration to the US is their dream as they inundate themselves with reggae, jazz and their perceptions of American culture. 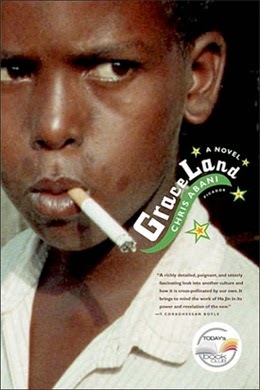 It is a powerful examination of postcolonial Nigeria where the trappings of American culture reign supreme. About the author: John Maxwell Coetzee is a South African novelist, essayist, linguist and translator born in Cape Town, South Africa. He won the Nobel Peace Prize for Literature in 2003. He gained a BA in English and a BA in Mathematics respectively from the University of Cape Town. He moved to the UK in 1962 and worked for IBM in London until 1965 when he then went on to study at the University of Texas. He published his first novel, Dusklands, in 1974. In 1984, Coetzee won the Booker Prize for The Life & Times of Michael K. Disgrace published in 1999 won him the Booker Prize again making him the first author to win it twice. He immigrated to Australia in 2002 and is now an Australian citizen. 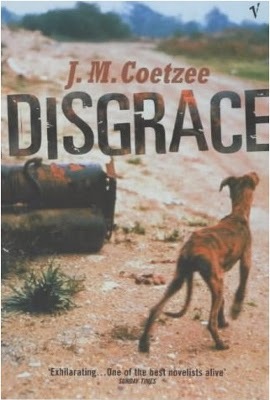 About the book: Disgrace is set in post-apartheid South Africa. David Lurie is a twice divorced, 52 year old professor of Communications and Romantic Poetry at Cape Technical University who embarks on an affair with a student. However when the affair turns sour the student files a complaint it is revealed to the school and is put before a committee of inquiry. Although admitting his guilt he refuses to apologise and resigns from his post. David goes to stay with his daughter Lucy in the Eastern Cape on her remote smallholding. Whilst he seems to be getting his life back into order a savage attack on his daughter and himself highlighting their estranged relationship. 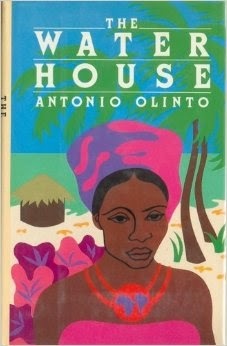 About the Author: Antonio Olinto was an African Brazilian author, essayist, poet, literary critic, and translator, as well as a Brazilian diplomat in Lagos. His work included poetry, political analysis and children’s literature. He was a member of the Brazilian Academy of Chairs from 1997 until his death in 2009. About the Book: The Water House (originally published in Brazil in 1969 as A Casa de Agua) was translated from Portuguese into English by Dorothy Heapy in1985. Olinto explores the subject of slaves who return back to Africa once freed. The Water House covers seventy years in the life of a African-Brazilian family- beginning in1898 in Brazil and ends in 1968 in Lagos. It follows the story of Mariana (the great granddaughter of Catarina, a young girl sold to slave traders by her uncle, making the transatlantic journey from Lagos to Brazil at the age of 18). The book recounts Mariana's story as she leaves her childhood behind in Brazil with her grandmother (now a free woman) and her mother (Catarina's daugher Epifania) and comes of age in Lagos. About the author: Amos Tutuola was a Nigerian author best known for his whimsical plots and influences from Yuroba folk tales. He had only six years of formal education due to the death of his father in 1939. He began work as a blacksmith for the RAF in Nigeria during WWII. He tried a number of different occupations during this time and managed to write is first novel in 1946 The Palm Wine Drinkard within a number of days receiving international recognition. However he received much criticism and hostility from Nigeria for the majority of his work. Many intellectuals found his use of broken English uncouth and the superstition and ‘primitive’ storylines a poor and degrading representation of Nigeria. 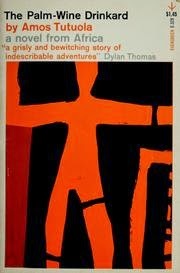 It was published in 1952 by the British publisher Faber and Faber. Despite his limited education Tutuola wrote in English. He joined the Nigerian Broadcasting Corporation in Ibadan working as a storekeeper in 1956 and became one of the founding member of the Mbari club, the writers and publishers organisation in Ibadan. In 1979 he became a research fellow at Ife University and an associate of the International Writing programme at the University of Iowa in 1983. 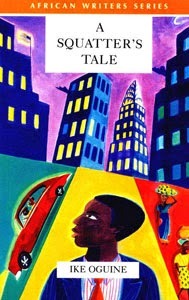 About the book: In Tutuola’s first novel it follows the adventures of a young man, who follows his personal palm wine taper into the land of the deads or ‘Dead’s Town’. The protagonist, the son of a rich man, is given his own personal tapster who draws for him gallons of palm wine, (he is able to consume up 235 kegs a day and yet is never drunk) but one day the tapster falls from a tree and dies. The young man as a result travels to ‘Dead Town’ in order to bring him back from the dead. There he encounters supernatural beings and finds himself in grisly situations. About the Author: The Nigerian writer and poet Helon Habila was born in 1967. He graduated from the University of Jos in 1995 with a degree in English Literature. He worked as a writer and lecturer in Nigeria, moving to Lagos in 1999 he worked as the stories editor for Hints Magazine for a year before taking a position at Vanguard Newspaper. His short story Love Poems won him the Caine Prize for African Literature in 2001 and his first novel Waiting For An Angel was published in 2002 by Penguin in London. It went on to win the Commonwealth Writers Prize (Africa Region, Best First Book) in 2003. He moved to the UK in 2002 when invited by the University of Anglia to become the first African Writing fellow. He co-edited the British Councils anthology New Writing 14 in 2006. In 2005-2006 he became the Chinua Achebe Fellow at Bard College, New York. He stayed on in the US and now currently teaches Creative Writing at George Mason University, Virginia. About the Book: A young journalist, Lomba is living in Lagos under the ruthless military regime. His life revolves around girls, soul music and the novel that he is writing. But when his flatmate goes mad and is brutally attacked by soldiers, his first love is forced into a marriage and his neighbours are planning a demonstration that is sure to cause trouble he realises he can no longer turn a blind eye to what is happening. Habila provides an intense and exciting insight into student life and the enigmatic characters featured in the novel under an oppressive regime, and the need to document the truth by a new African generation. 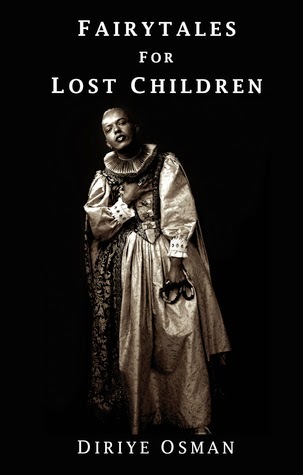 About the author: Diriye Osman is a British-Somali short story writer, essayist, critic and visual artist. Born in Mogadishu he and his family fled to Nairobi, Kenya at the start of the civil war in Somalia. In 2001 his family moved to London. As a child he was encouraged to draw and Osman found refuge in art and design, traumatised by his childhood experiences. At the age of 18 he suffered a nervous breakdown and was diagnosed with psychosis resulting with him being admitted into a mental institution. This experience left him unable to speak for six months. Encouraged by his mother he actively began to read. Nuruddin Farrah, Zadie Smith and Edwidge Danticat are just a few of the writers that influenced his decision to take up writing as his profession and also helped him to regain his voice. He holds a BA in English Literature, Linguistics and Fine Art from Birmingham University and a MA in Creative Writing from Royal Holloway, University of London. After recovering from another health set back in 2008 he began to write short stories. His work is largely based on his experiences as a gay man of Somali origin and the gay experience of all Somali’s despite their circumstances. In 2014 his collection of short stories Fairytales For Lost Children won the annual Polari First Book Prize. About the Book: Set in Kenya, Somalia and South London the characters in this collection of short stories narrate their experiences, as they are at the brink of self-revelation. They are all young, gay and lesbian Somalis who must find their way through the difficulties of family, their identity and the immigrant experience as they stumble their way to freedom. Find the first 25 titles on the Gateway for Africa Blog. Check out these easy steps that help you to write a character analysis. With their help you can do anything. Excellent site customessaymeister for schoolchildren and students. Here you can find the best tips on how to write a better essay.